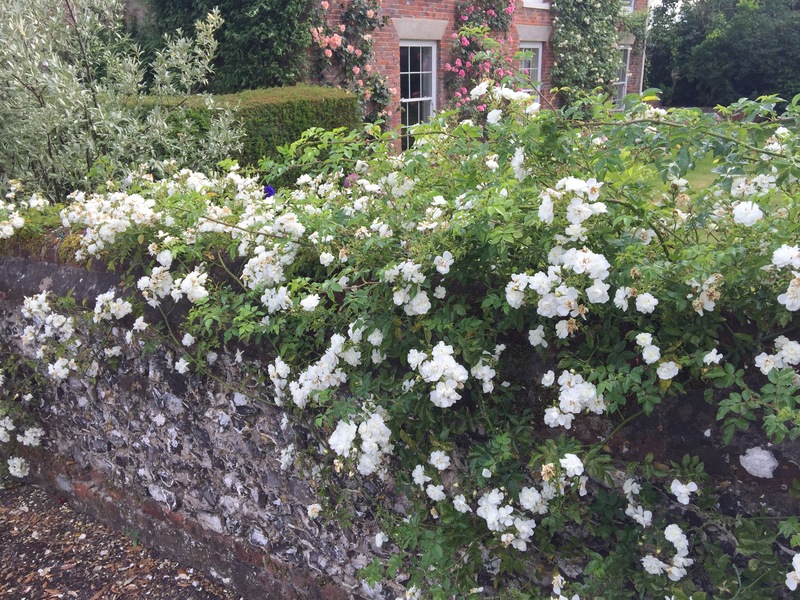 Pruning roses always seem to have a mist of confusion around them, no matter where I go, who I talk too or indeed listen too, roses are one plant that leaves them confused when it comes to pruning. What to prune, when to prune, taking too much off, not taking enough off. It’s no wonder really with so much Conflicting advice around in books, the internet, magazines and on telly. Hopefully over the next couple of years, I will go through my own methods of pruning and hopefully explain how I get the best from the roses I look after and hopefully make it a little clearer! I try and train the stems in curves to encourage as many breaks of the flower growths next year as I can, it can also be useful to cover a bigger space with the really long growths, the shorter ones I use to cover the bare patches near the base of the plant. The new growths can be turned into any shape you like and will flower well! Really they are that easy, just a case of removing the old flowered wood and tie in the new stems, they are really as simple as that. I tend to use just my silky pruning saw, my trust Tobisho SR1 secateurs to prune and nutscene 3ply twine to tie in. I hope you enjoyed the blog and found it useful! Previous post: July just fluttered by…….. Very useful Thomas…I always get confused with how much to prune, which way to tie them in (ie sideways or up) and the difference between a rambler and climbing rose! This post has been very helpful, thank you! Thank you for linking to #MyGloriousGardens. As a professional gardener, its lovely to have you as part of our little community. You may find John’s blog useful if you haven’t discovered it yet. Pop back to the linky for a closer look. Thank you for this great post! It’s always difficult knowing where to start with huge old ramblers, but they look fantastic! Thanks for this really clear guidance. I have a rambler over an arch which I can’t allow to get too big. It flowers really well so my current pruning regime can’t be too bad but it is a hell of a tangle. I think I’m more confident now to strip out much more of it, with a clearer idea of which stems I need to keep.